Facebook gives you the option to assign several people to manage your Page. Facebook page roles assign different privileges and permissions to different roles depending on what actions they will be allowed to perform. 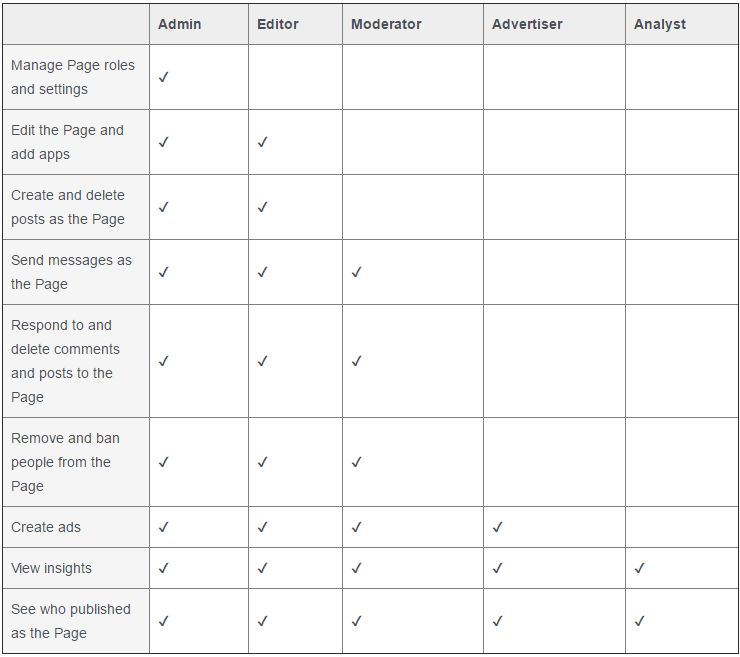 These vary between the Admin role which gives total control over the page (including managing Page Roles) and Analyst role which only allows the user to view insights and see who published as the Page as represented by the figure provided by Facebook below. This all seems great as an asset to be added to make Page management easier but what does this practically mean? 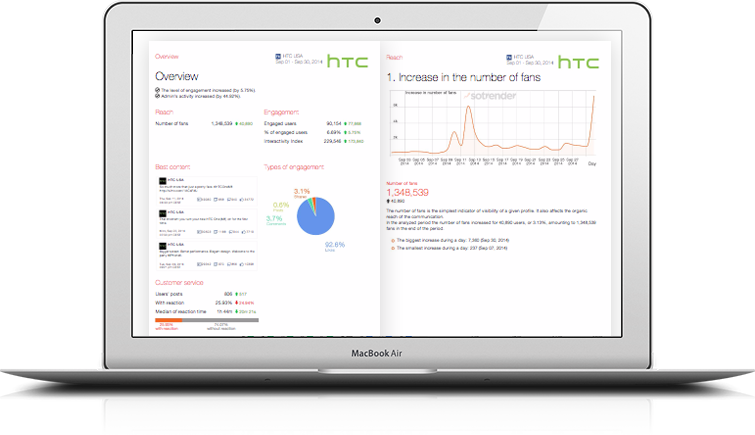 What this option gives you is the chance to make managing your Page a much lighter workload instead of having one person do all the job. It also allows you to create different layers of permissions for Page managers depending on both their qualifications and permissions within the organization that they are assigned. However; it introduces a new layer of security issues since a person with a compromised account is liable to compromise the whole page, especially as the permissions become of higher levels. This could also be an issue with employees who are no longer working with the company for example. How do I add permissions for people to manage ads for my Facebook Page?